Mark Final-Austin is the owner and Head Developer of Purple Serve, a company that specializes in providing web hosting, design and development. Mark moved his hosting over to Unlimited Web Hosting two months ago, and he currently uses our Reseller Hosting package to host his client’s websites. Mark’s business completely relies on the services that Unlimited Web Hosting provides, as all of his existing clients are hosted on his Reseller account. Unlimited Web Hosting’s services are rated as “Excellent, 10/10” by Mark, and he adds that “my Reseller account was quickly setup, enabling me to migrate my client’s websites from a Reseller account with another provider”. Mark also rates Unlimited Web Hosting’s customer support as “Excellent, 10/10”, and he goes on to say that “All of my support issues have been dealt with promptly”. As a result, Mark has no hesitation in recommending Unlimited Web Hosting to other businesses. Mark would like to see Codeguard website backups implemented in the future, as well as ServerShield by CloudFlare. As with all of our customer feedback this suggestion has been passed on to our development team and management. 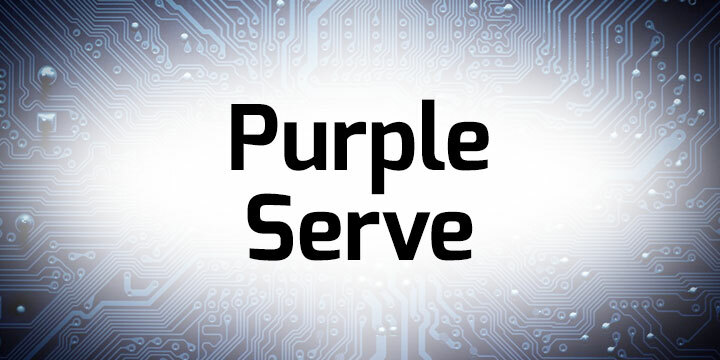 Please follow the links below to find out more about Purple Serve and to get in touch with Mark.